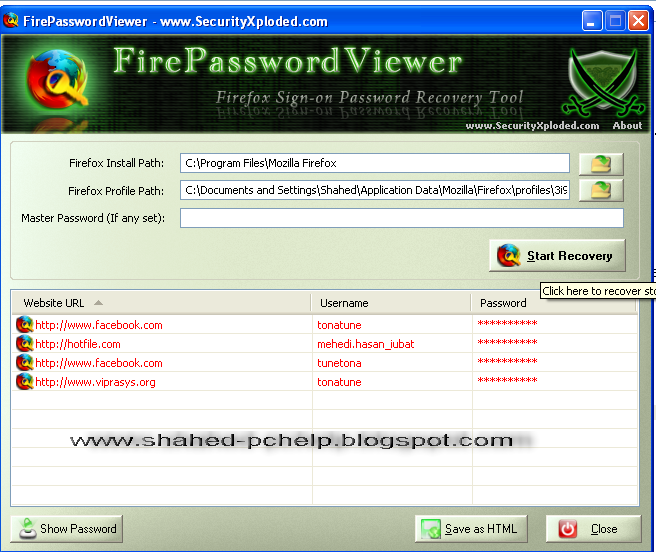 We generally save our username and passwords of the websites that we use all time and we do not want to wast our time by typing username and passwords. 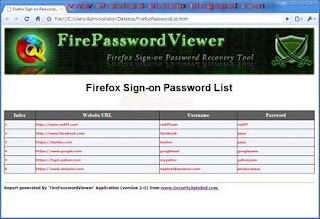 If we give permission then Firefox store the username and passwords for websites. 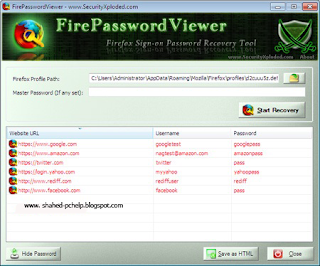 These username and passwords are stored in an encrypted manner into Firefox sign-on database. And I want to inform you that this types of strong system is very harmful for your website. If you store then any body can easily hacked your id by using Java script. So try to avoid to do this. Download and get portable version and non portable version. 3. 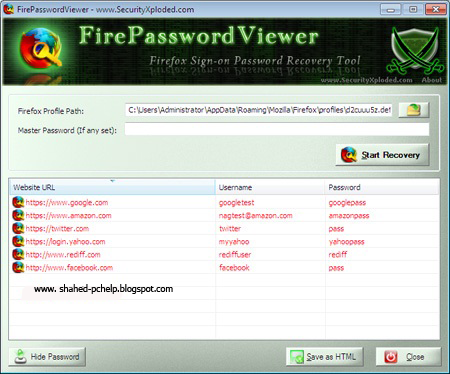 Now click on Start Recovery button.It will list all the stored website with username and password. Now use this soft and keep you safe from hacked. Oh! one thing if any one use this soft and try to hack you you can stop this. Just use master password. 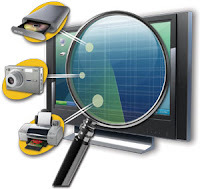 To set a master password goto Tools >> Options >> Securityand now check the Master password checkbox.Enter your password and now your information is secure. Note:The aim of this tutorial is to help you recover your passwords stored in your firefox browser and to protect you from getting hacked.